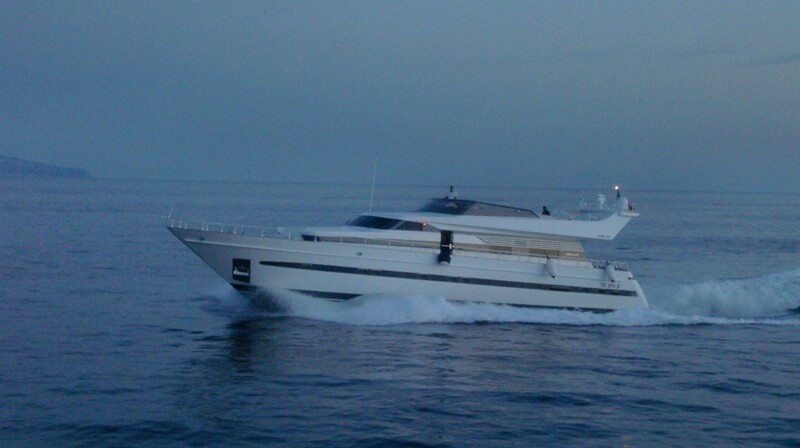 Motor yacht MABLU is a 26.60m (87' 3") classical Akhir 25 S built by Cantieri di Pisa in 1994 and refitted in 2010. 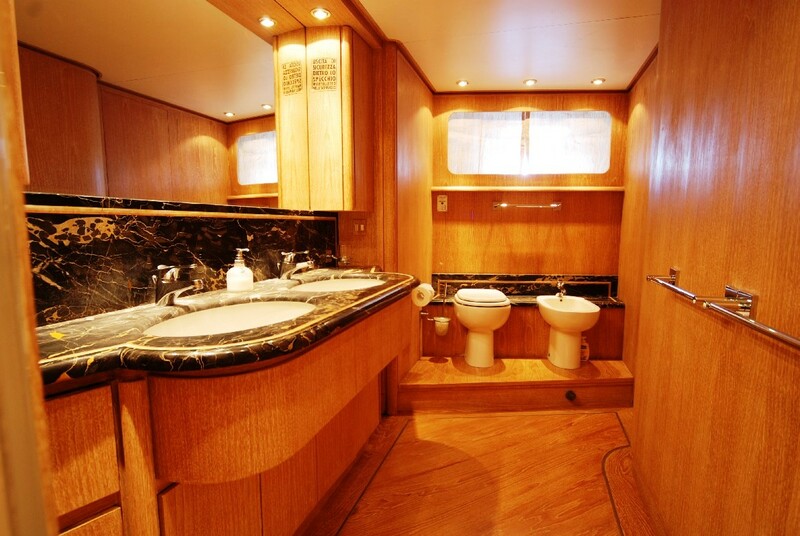 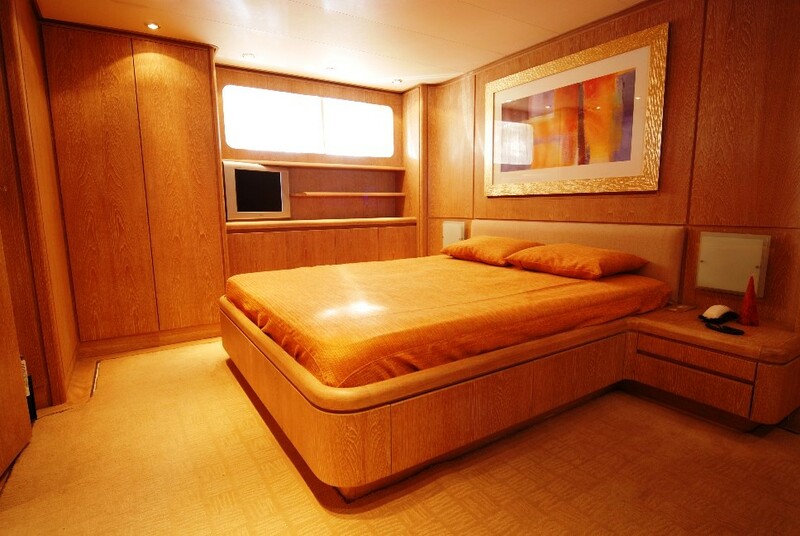 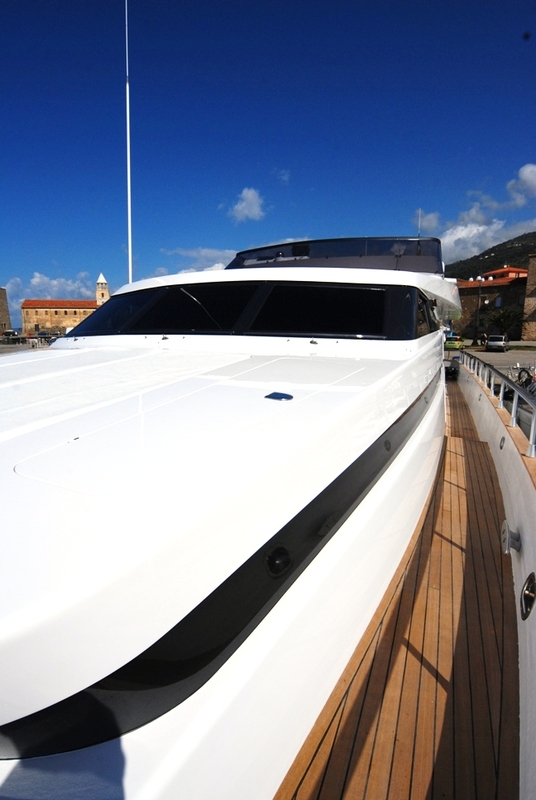 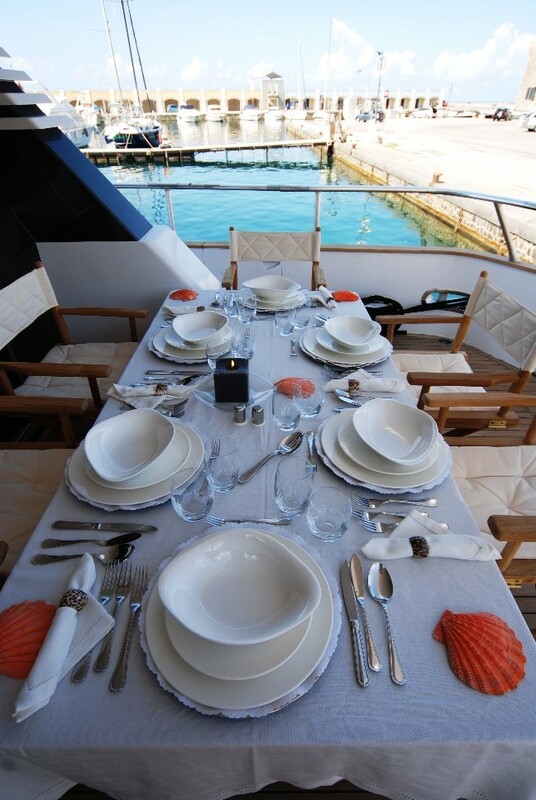 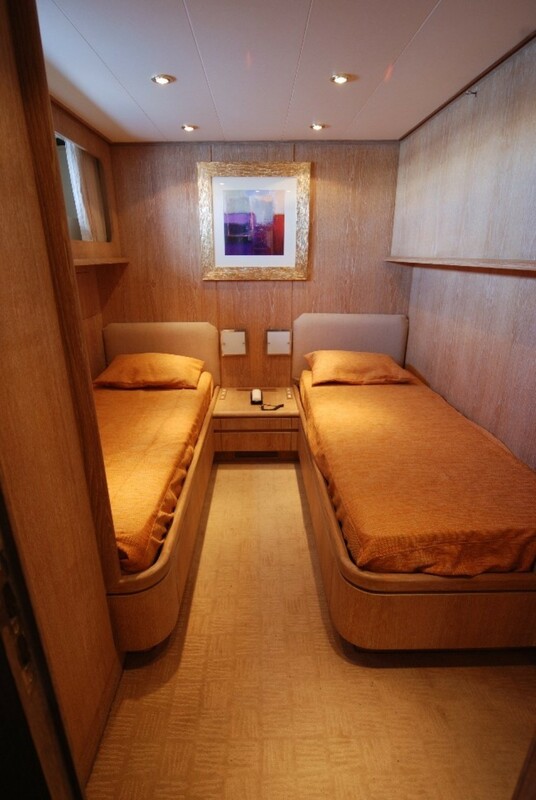 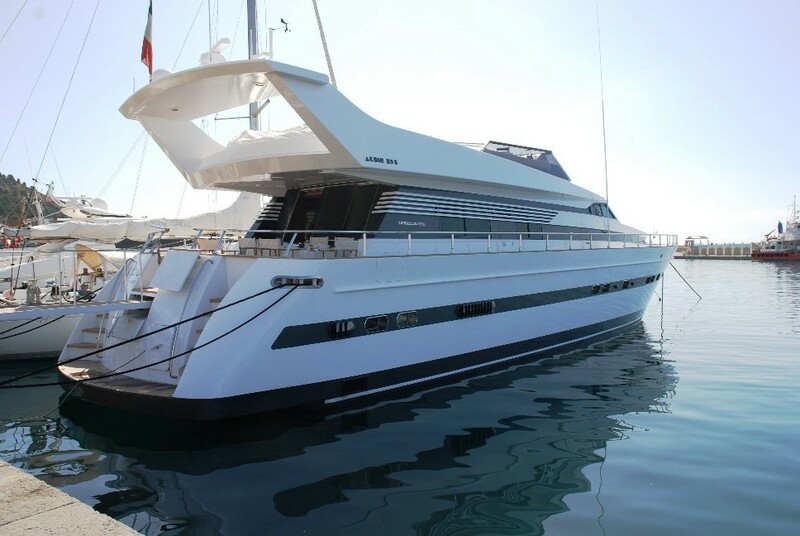 Able to accommodate up to 9 guests in 4 cabins, the yacht is also available for corporate and event charters. 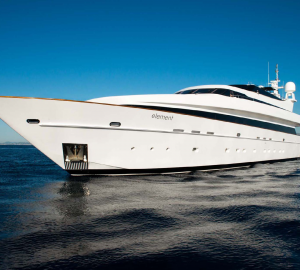 Motor yacht MABLU boasts refined and elegant air conditioned interiors. Her spacious salon features comfortable settees, a dining area with table for 9 guests and wide glass windows providing plenty of natual light. 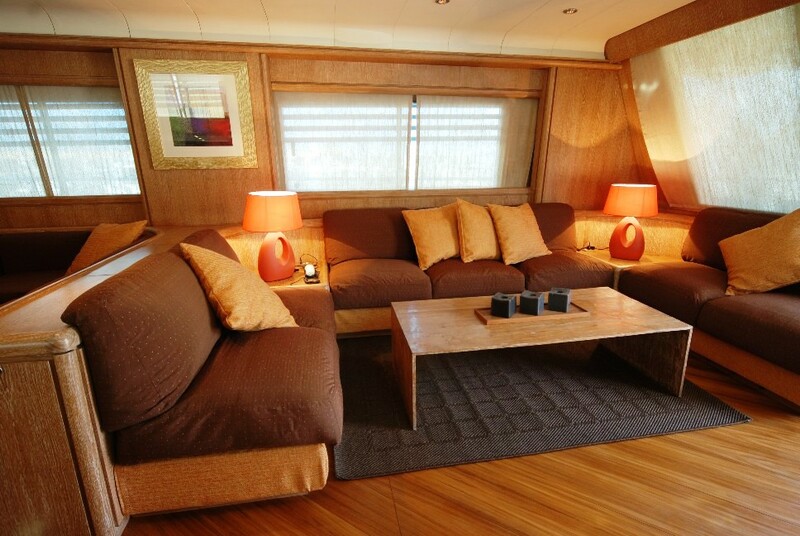 There is also a 42” plasma TV, VHS, DVD, Home Theatre, stereo in the area. 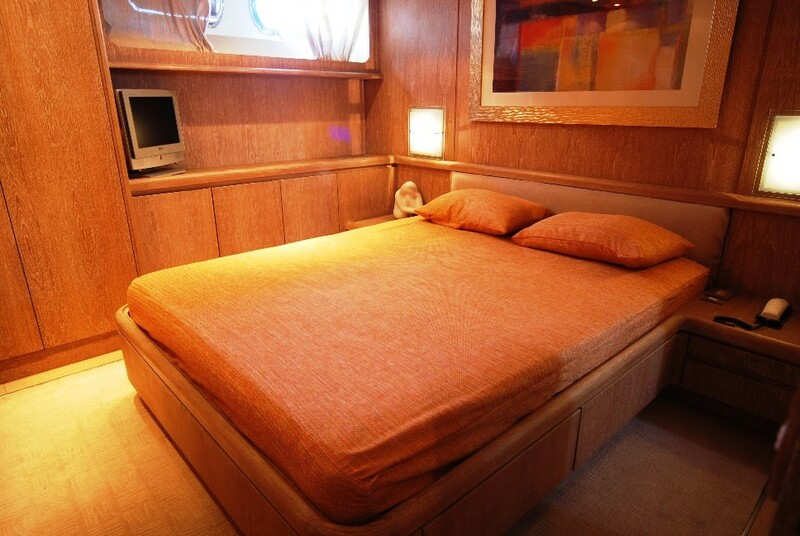 The well equipped galley boasts a Miele stove and oven, fridges, freezers, dishwasher, ice maker, washing/drying machine. The Akhir 25 S motor yacht MABLU is able to accommodate up to 9 guests in 4 staterooms. Her Owner's suite features a Queen size double bed and ensuite toilet, the VIP suite offers a Queen size double bed and toilet ensuite, and the 2 twin guests' cabins both have an ensuite toilet (one of them offering a third pullman berth). 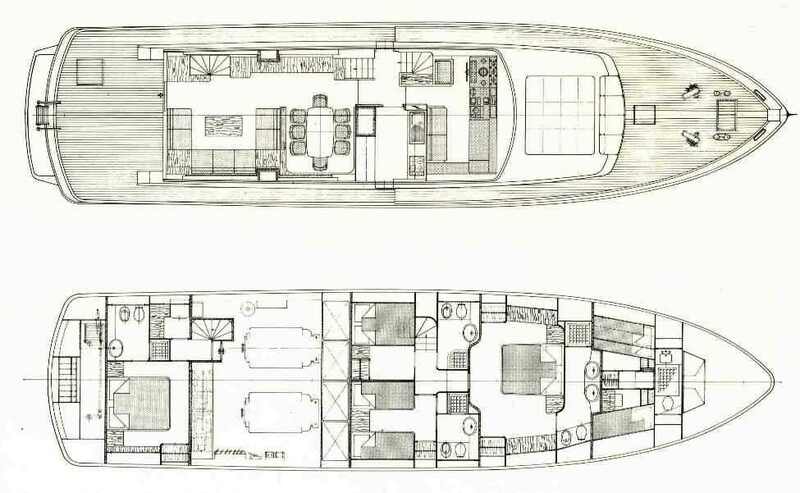 There is a separate crew quarter for 3 or 4. 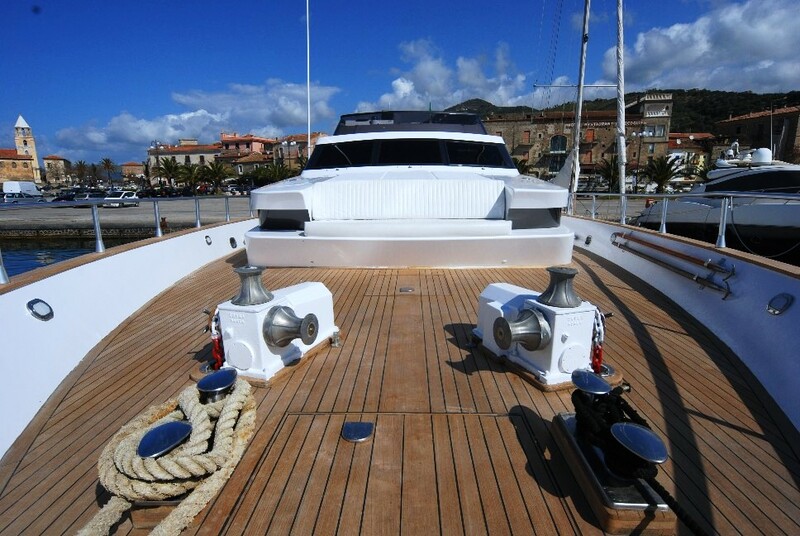 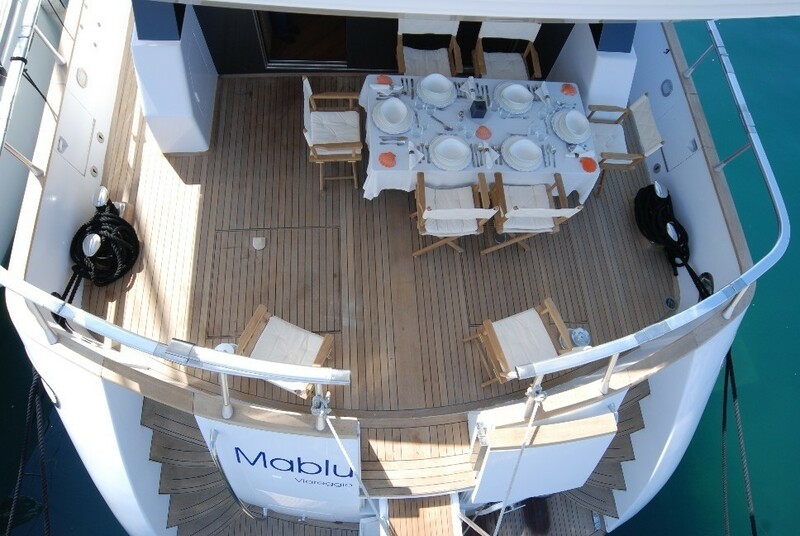 M/Y MABLU was completely refitted in 2010. 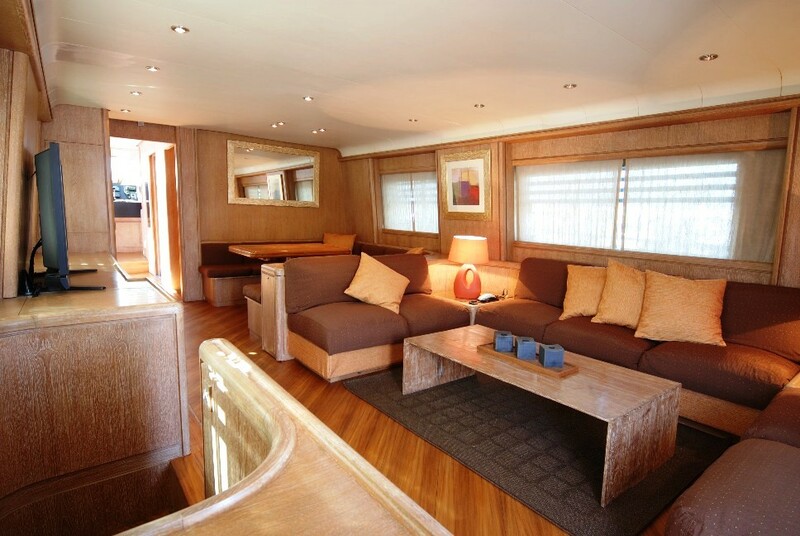 The refit took more than 6 month and included a complete re paint, teak refit, engines check, new tapestry in salon and wheelhouse, new mattresses and new sofas. 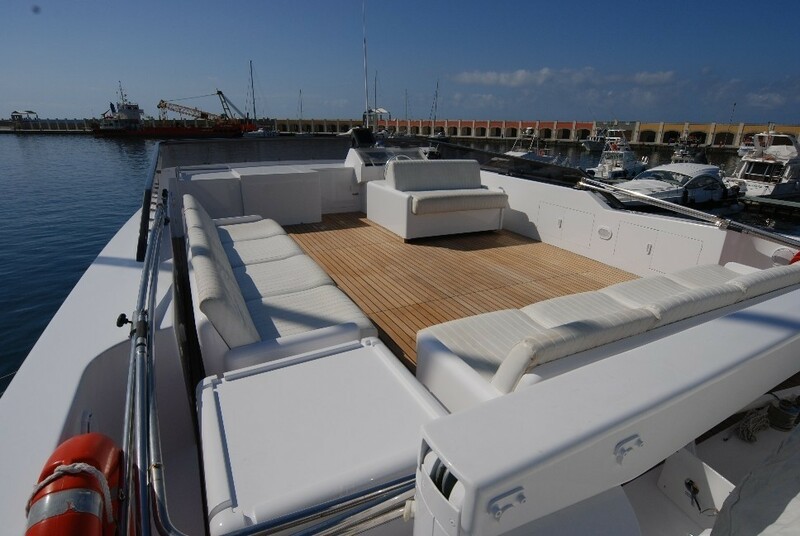 The deck layout of yacht MABLU offers wide sunbathing areas forward and upper deck equipped with comfortable settees with cushions and facilities, a aft deck with dining table as well as a comfortable stern bathing platform. 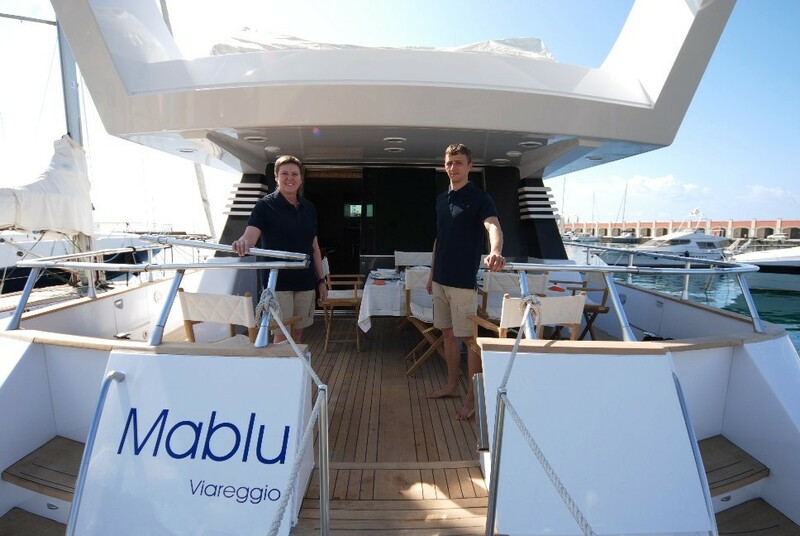 Mablu motor yacht is based in Naples, close to Amalfi Coast, Capri and Ischia and she charges no delivery for the whole Gulf or the Pontine Islands too. 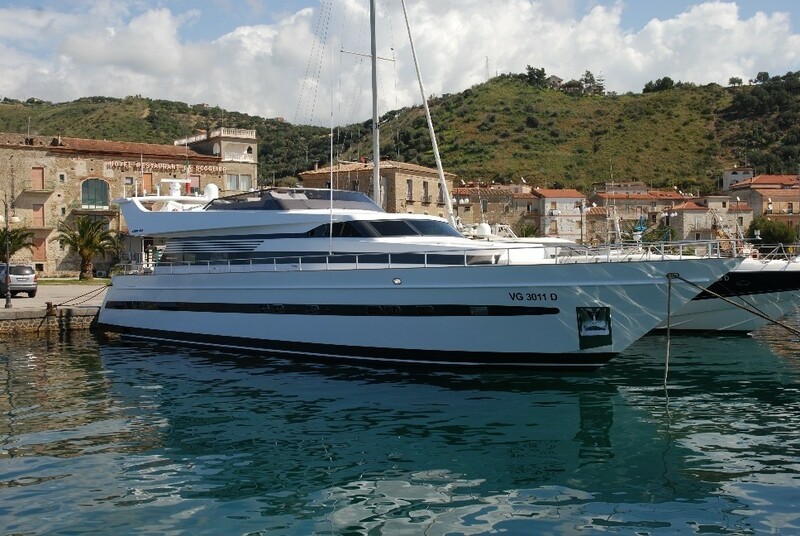 Low delivery fees are applicable for Sicily and Sardinia. 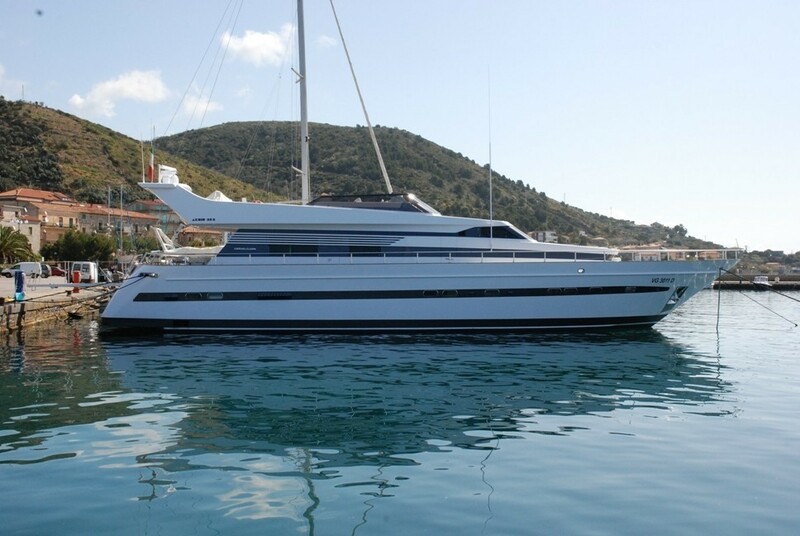 This classical Akhir 25 S motor yacht MABLU is able to accommodate up to 9 guests in 4 staterooms. 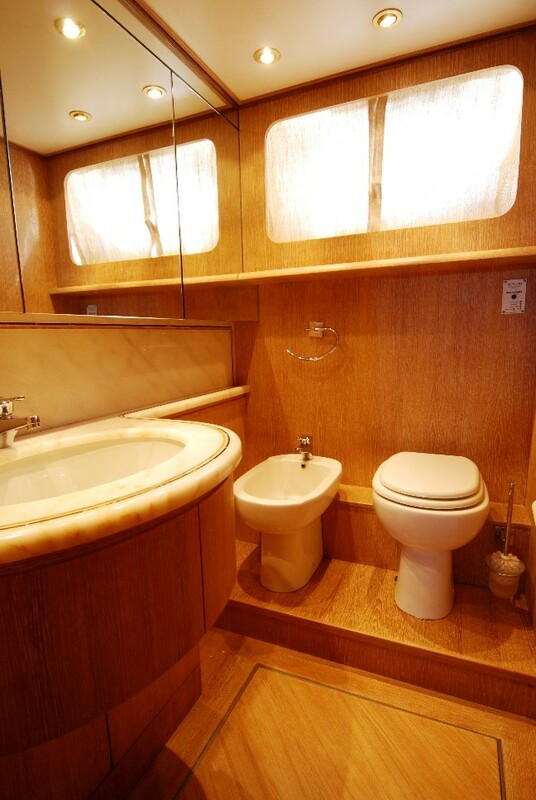 Her Owner's suite features a Queen size double bed and ensuite toilet, the VIP suite offers a Queen size double bed and toilet ensuite, and the 2 twin guests' cabins both have an ensuite toilet (one of them offering a third pullman berth). Motor yacht MABLU features the following extras onboard: Tenders & Toys include a Tender Zodiac 4 mt. 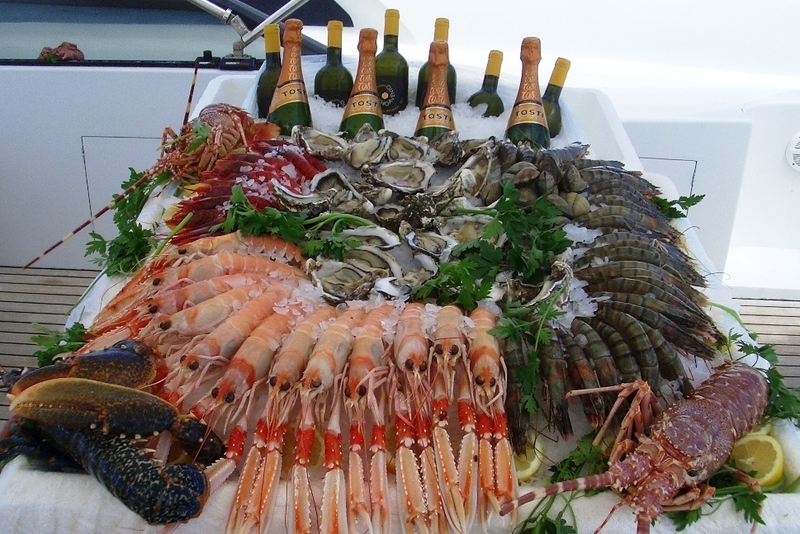 outboard 15hp and Snorkelling gear. Communications include GPS, plotter, VHF, Eco, Radar. 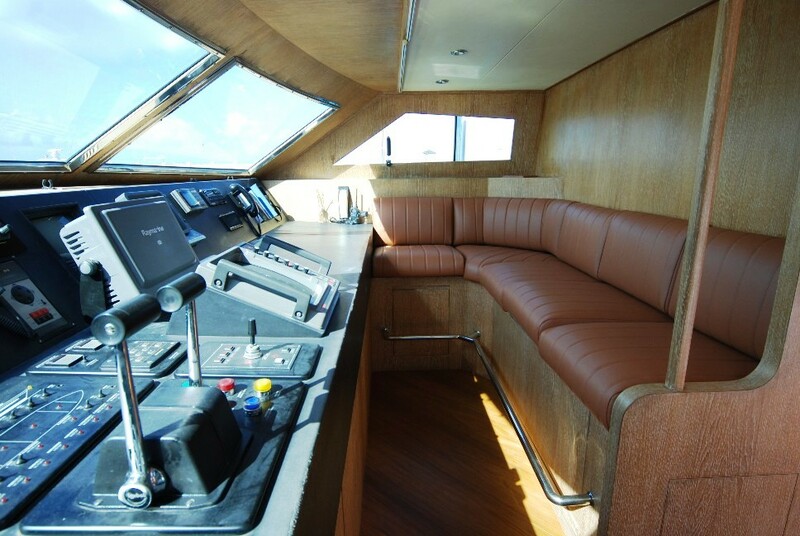 Audio Visual Equipment and Deck Facilities include a Plasma Tv 42', VHS, DVD, Home Theatre, stereo, well equipped galley, ice maker.